We are really excited to have Amy-Lee and Alexandra from one of our favourite FB pages, Bubble Kids, share some of their best ideas for entertaining 1 -2 year olds. Their page has given us heaps of BNN ideas for toys and activities we can share with Little Fearse. Bubble Kids is a favourite of educators, cash-strapped parents and those who value creativity over stuff when spending time with youngsters. Hello! My name is Amy-lee and I’m one of the two admins of the Facebook page Bubble Kids. I created my page with the help of Alexandra to give all types of parents all sorts of easy and cost efficient activities and ideas to do with their children. When we were asked to write this blog we had so many ideas and thoughts float through our heads that it made it incredibly hard to narrow it down to just a few! So we have decided to stick to the theme of ideas, games and experiences for children between the age of 1-2 years and here is what we have come up with! 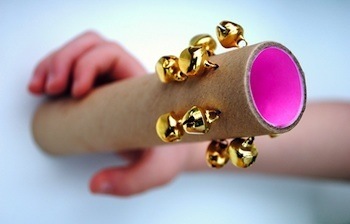 1 cardboard roll, bells and fishing line/wire to stick the bells on to the cardboard roll. Children will have hours of fun shaking these and making lots of different music with these. 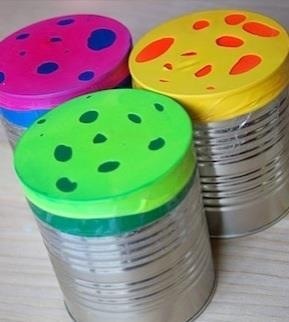 All you need to make these are 1 tin (old formula, milo or coffee tin), two different colour balloons for each tin and scissors to cut the patterns into the balloons. Use different size tins and layers of more balloons to create different sounds. Raw pasta and string (or left over ribbon!) and food dye if you want to get extra creative! So easy but yet so fun to make. You could even change this up a bit by using fruit loops, grapes, slices of fruit or anything really, just attach a toothpick to the end of the piece of string so that it has a point to push through the fruit with. 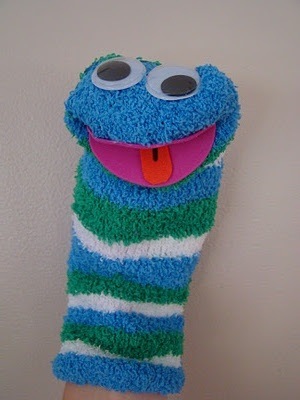 Sock puppets can be made from odd socks they are just laying around the house, left over felt/wool from other projects and buttons for eyes! You could create a whole family of sock puppets and put on a puppet show using an old cereal box (cutting out the sides) as the stage! resources you can get your hands on and they have so many uses. 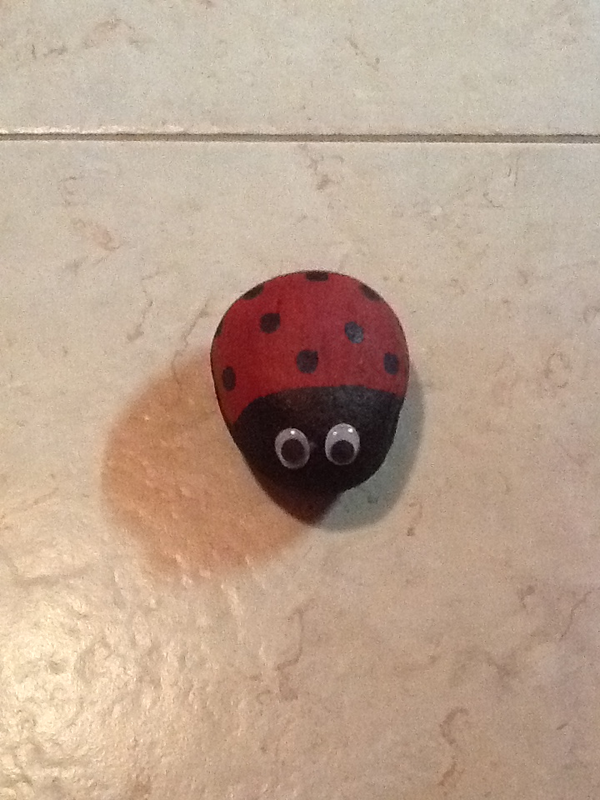 They could be a part of a “puppet” play, act as a “no talking” rock, a member of a rock family or even a doorstop! So many possibilities! Recycled plastic bottles filled with rice, beads, glitter or anything really and then a few little items tossed in so the children can find the hidden objects! 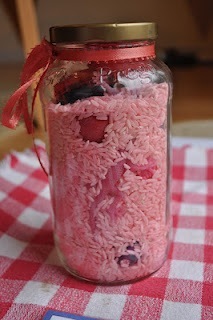 These don’t have to be in a jar, any container will do! For older children you could also attach a list of the “hidden” objects for them to find. We have enjoyed working with the Fearse Family to put this post together and hope you all enjoy it. You can find many more ideas just like these on our Facebook page Bubble Kids.